How to Host a Tailgate Party at Home! It’s that time of year again. The best sports season of the year is here. Well if you are a football fan that is. Here in the Pacific Northwest we have some great football teams and watching football brings friends and family together. 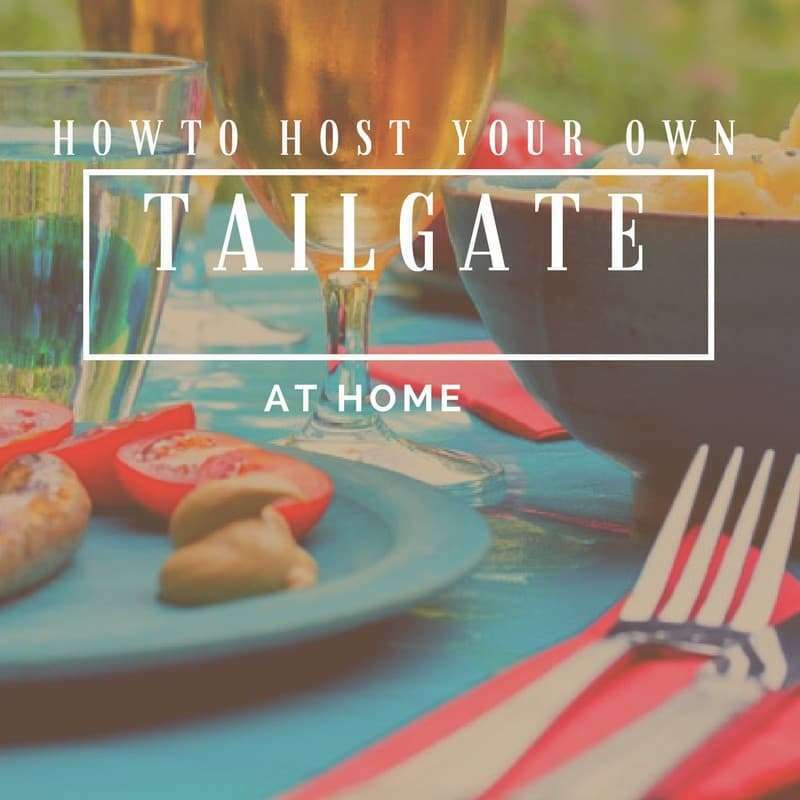 One of the best things about football besides the game is tailgating and we have got some great tips to throw the ultimate “tailgate” party in the comfort of your own home. Get indoor and outdoor spaces in tip top shape ready to decorate and receive guests. Think about de-cluttering and getting things ready to host a lot of hungry people. To really wow them and create the most comfortable atmosphere for guests to hang out in, consider having some deep cleaning done before the party. Pre-party is an optimal time for a carpet cleaning. Your carpet cleaner can even apply a stain guard to help aid with those inevitable food spills. You may want to arrange furniture so that there is plenty of room for everyone to see the TV. Its the whole reason everyone is coming after all. To watch the game. Make sure to have the pre-game on while everyone is arriving and mingling. Most of a tailgate party happens pre-game. Make things even more fun and festive with a few tailgate style decorations. Purchase items in your team’s colors like cups, napkins, plates, cutlery, tablecloths, etc. Label snacks with punny football names (Pinterest can help give ideas). Print up fun sticker name labels for cups with a football theme. One of the focal points of a tailgate is the grill. Have guests hang outside with you if it’s not raining or super cold. Set up some games like corn hole or have some footballs available to toss across the yard. Set up an awning and a table and chairs with some snacks of course. Have the pre-game on on the radio. The more people eat/hang outside the less mess you need to clean inside. A huge component of tailgating is the food and drinks. Make sure you have plenty to go on the grill and to snack on. To make this job a little easier ask guests to bring their favorite game day snack. You can also let guests know what you will be grilling and tell them they are more than welcome to BYOM, Bring Your Own Meat. Have lots of coolers everywhere full of cold drinks and ice. With all of the guests and tons of yummy food and drinks it is very likely there will be a spill or two. Be prepared with a spot treatment kit to clean up accidents as soon as they happen. Some great kit items include plenty of clean white cloths or paper towels, mild dish soap to mix with warm water, a spot treatment reference, and a spray bottle. There are so many great things about football season and parties are at the top of the list. All Kleen is here to help you get your home ready for the next football bash or help you clean up afterwards. Make an appointment online today.